Johnbean Equipment Is Based On Leading Edge, Innovative Technology, Providing Uniquely Integrated Solution To Our Customers. Connected And Committed To Extend Focused Expertise And Personalize Service ,Delivering Quality And Value. 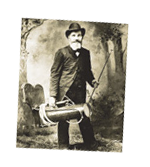 John Bean’s heritage began with a retired inventor named John Bean, and his founding of the John Bean Spray Pump in 1904. 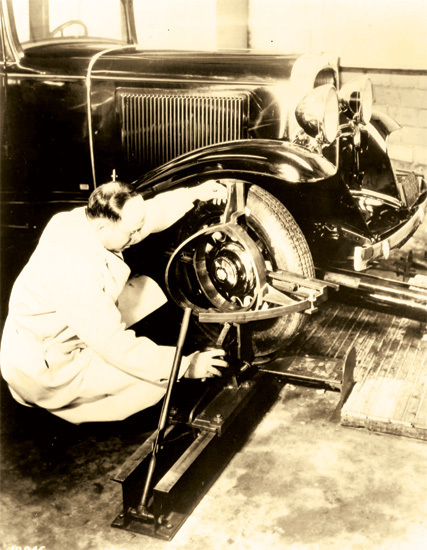 John Bean was a pioneer in innovative technologies to meet the growing demands of the ever-growing automotive industry. During the early 1900’s John Bean’s state-of-the-art pressure pumps were often used as portable fire fighting pumps. The mounting of John Bean pumps on trucks led to the first fire trucks. However, the added weight to the vehicle adversely affected the truck’s wheel alignment causing excessive tire wear. In 1925, John Bean engineers designed a dedicated mechanical alignment machine that could diagnose alignment problems and help to align the early John Bean fire trucks, and by 1932 this new alignment machine was being marketed broadly under the John Bean brand name. John Bean is one of the world’s leading brands of garage equipment for garages, tyre shops and body repair service. The company’s roots date back to a retired inventor, John Bean (pictured right). In 1904 he founded the John Bean Spray Pump Company. When the company merged with a nearby food machinery company, it became the Food Machinery & Chemical Company (FMC). In 1996 Snap-on Corporation acquired the successful automotive equipment division from FMC and renamed it John Bean, honouring the original founder and visionary inventor. The FMC Visualiner II of series 9000 in 1984 marked the first successful application of optical measuring heads with a CRT computerised aligner. FMC engineers were also the first to develop calibration for both wheel aligners and wheel balancers which could be performed by operators. First built-in operator video training. First use of colour monitors. First use of CD ROM. First use of animated colour graphics. First use of 3D imaging technology for wheel aligners. First to use true 32 bit Windows alignment software. First wheel aligner in PRISM technology. After Snap-on acquired the company, John Bean kept to its mission of developing innovative technologies. Most notable were the development and introduction of the 3D wheel aligners, the accuracy, speed and user-friendliness of which set new standards. Finally in 2008 John Bean was the first and only to launch wheel aligners in PRISM technology which once again marked an amazing milestone in its long tradition of innovative service equipment. It is our mission to develop new technologies and offer innovative products to our customers, increasing their productivity and profitability – as your success is our goal!